Ghana-based Nigerian singer, Mr Eazi has finally reacted to rumors that he went into his current relationship because of financial benefits. Active rumors have been recently circulating on social media that Nigerian musician, Mr Eazi’s love for his girlfriend, Femi Otedola is not out of heart love but rather a worldly type of love. Many people have the perception that he is in a relationship with the Nigerian billionaire, Temi Otedola’s daughter and has been flaunting her on social media because of how wealthy she is. 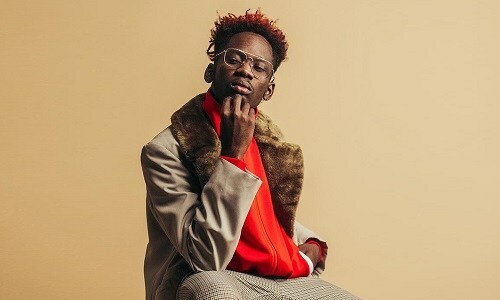 However, speaking in an interview on Showtime, Mr Eazi has reacted to the rumors saying that he doesn’t care about what people have been speaking about him on social media. He said: “I feel like at the end of the day what comes out of me is in me. You know people can say what they want to say. If you put your ears down and react to what they say, you won’t live, especially when you are in the limelight. You have to realize that your life is now entertainment for people. He further made a statement to clarify the widespread misunderstanding that he is closer to Ghanaians than Nigerians.